1. Spending money over some b-day celebration will ruin my budget. Especially of the fact that I'm a working student and I don't have someone to rely on. 2. I don't have many people to celebrate it with. But now that I'm not getting any younger , celebrations is already a must. Although, it doesn't need to be elaborated and grand but a lunch or snacks must be prepared in the office since it's already our usual routine and custom. Next, I have my husband and kids to treat. Although, it's not necessary, isn't it nice to go out in a dinner date with your family while they were happily singing a happy birthday song with a matching sweet embrace and loving kisses. It's indeed a once a year celebration and I think moms like me deserves to have a happy and memorable day since it was indeed our special day. But of course, I would never forget to thank the one above for giving me this life and for me to feel this happiness inside. My life may not be perfect and pain and fear always lingers in my heart but with perseverance and strong will, I know i can fulfill my dreams and make my life a fruitful one serving and doing what is needed to be done. Winning is very easy, just follow the instructions and your good to go. Giveaway will start on my birthday of course (Feb. 24) and will run up to March. 9, 2014. Winners will be notified thru e-mail and has 48 hours to respond or else, I need to pick another random winner. My decision is always final. So, what's in store for the winners? Happy Birthday to me and Good Luck to Everyone joining the giveaway! And what's the other good news, I'm having a simultaneous giveaway. You can also join here. I wish to read here about your skin care. Would like to see more posts about beauty products.. Looking forward for more years of blogging. I would love to read reviews about Vitamins for toddlers. And love to read more beauty regimen.. I wish to see some reviews about slimming juices or anything.. Even the acne and pore tightener :3.. I REALLY NEED to have suggestions on these. haha :)) Thanks! Well, I would like to see more of your kids' fun birthday celebrations! Happy birthday sis! :D God bless you with more! I want to read more reviews & parenting issues. More promos, freebies, tips on parenting and gift ideas for hubby and kids. Keep blogging momi!! Happy Bday again! 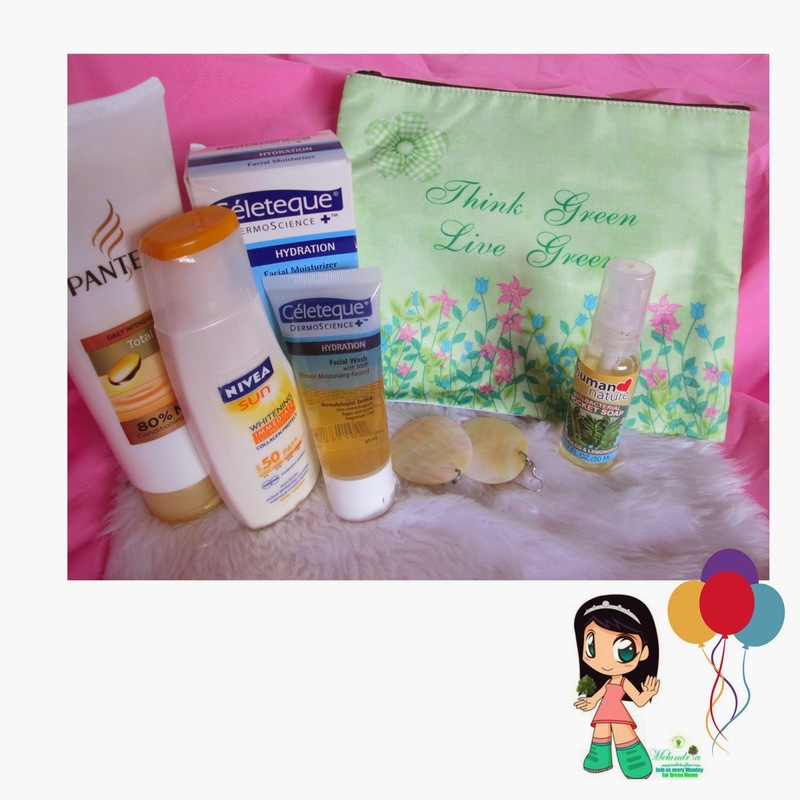 More promos, freebies, giveaways, Skin Care, food trips & fashion. More promos, freebies, giveaways, beauty tips, skin care, food trip, travel & fashion. Skin regimen and products .. Happy Happy birthday..
beauty products review, tutorials and more giveaway!!! Happy Birthday! God bless and more power. i would love to see more makeup haul,tips and giveaway please. I'd love to see more posts about family/kids & healthy living. I am not a parent myself but I help take care of my 6-year-old niece so I am looking forward to seeing articles about parenting and child care here in your blog. More power! I want to see skin care review, make up tips and alike..
i want to see skin care , make up tips and alike. beauty products and health tips! I would like to see more reviews. giveaways will be great as well. You know me at Facebook as "Sheryl Georylcom". I can give you my email via PM but I;m sorry, I don't post it online. Thanks! 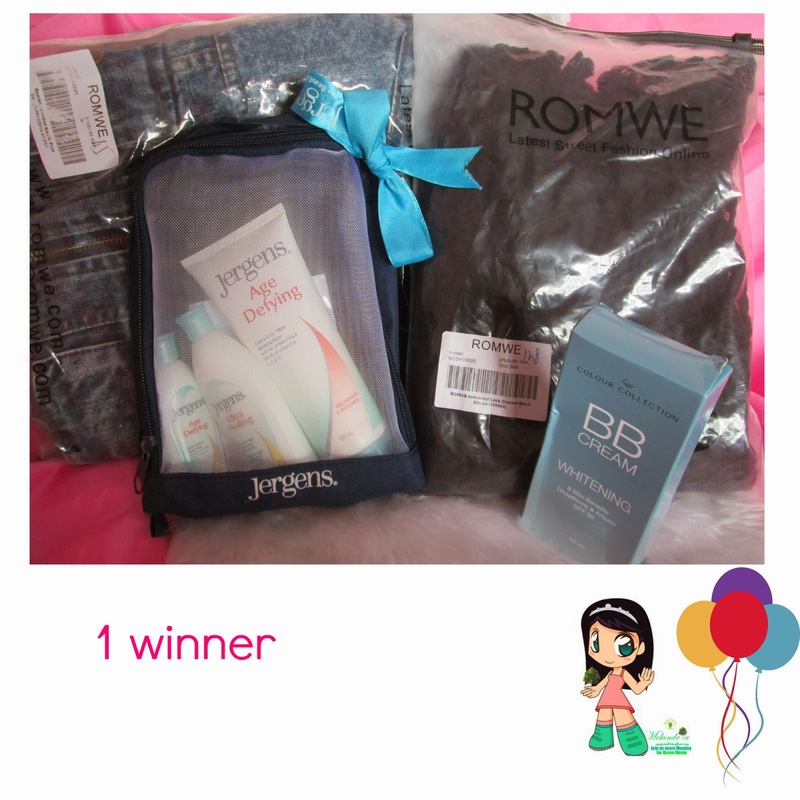 Beauty products giveaway and gc are my wished to see on your site in the future. I would like to see about parenting, please. I love to read beauty tips, skin care, food trip & travel. Belated Happy Birthday! Looking forward to more reviews on mom's bonding activities with their kids! more power! I want to read more about product reviews. i like to see more beauty tips, travel guide, recipes maybe?? More Reviews for Affordable but Effective Products. food reviews or cosmetic reviews that are suited for moms or for ages 25 and up. I want to see beauty tips in your blog. happy birthday! more beauty and skin care tips. HAPPY BIRTHDAY TO YOU!...MORE SUCCESS IN YOUR FUTURE! LOVE YOUR BLOG! different kinds of BB and CC cream.Which is the best? Different BB and CC creams.Which is the best? I want to see more review about beauty products. Tips about skin care,body & health care. More mak up tutorials please! Bcoz im really bad in putting make ups! a new blog design/ layout, more post on your travel adventures and also giveaways! I wish to read more about skin care for adults and for babies. beauty tips and also happy bday! i want to see about parenting. happy bday dear...more power and Godbless. happy bday !more power Godbless. I'd like to see more fashion hauls and skin care product reviews on your blog.